160 illustrations - 6 maps. Mostly pictorial with 9 good WC&PR maps. WC&PR coverage 34 pages out of 96. Good coverage of the branch lines and Bristol Harbour lines. Hardback. Available here at reduced price. Most detailed book but perhaps not for the casual reader. - 160 pages - 122 photographs - 7 maps - Hardback. 183 pages, 41 illustrations including maps. Modelling scale drawings of Hesperus, Coach No 2, and large Drewry railcar. Hardback. 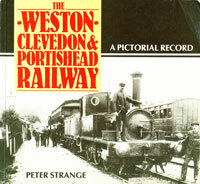 A unique 24 page booklet called “Discover Somerset’s Lost Railway” is available only from the WC&P Railway Group website. 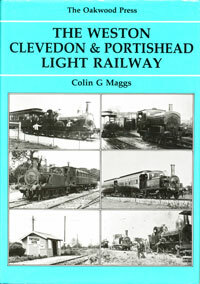 It is intended as a guide for anyone wishing to trace the stations and features of the railway. New 3rd edition published 2014 enlarged and with more colour pages. Includes 5 pages on the WC&PR. 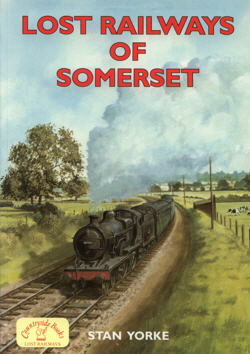 Lost Railways of Somerset by Stan Yorke published 2007 by Countryside Books ISBN 9781846740572. 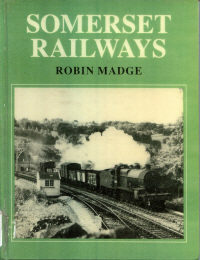 Coverage of all Somerset Railways - 8 pages on WC&PR. 154 pages total. Out of print. 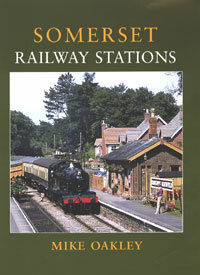 Somerset Railway Stations by Mike Oakley published 2002 by The Dovecote Press ISBN 1 904349 09 9. Large format hardback. 160 pages. Out of print? Approx 2 pages on WC&PR. 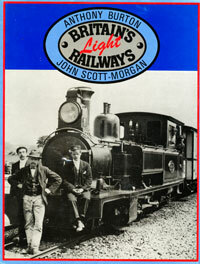 Railways of Arcadia by John Scott-Morgan, published 1989 by P. E. Waters and Associates ISBN 094890450x. A Photographic Survey of the Colonel Stephens Railways. 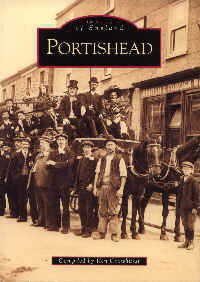 Good comprehensive pictorial record of Portishead with some unusual photos of the railways, industry and docks. 128 pages - over 200 photos. Card covers. Pictorial record. 48 pages - 5 pages on the WC&PR.